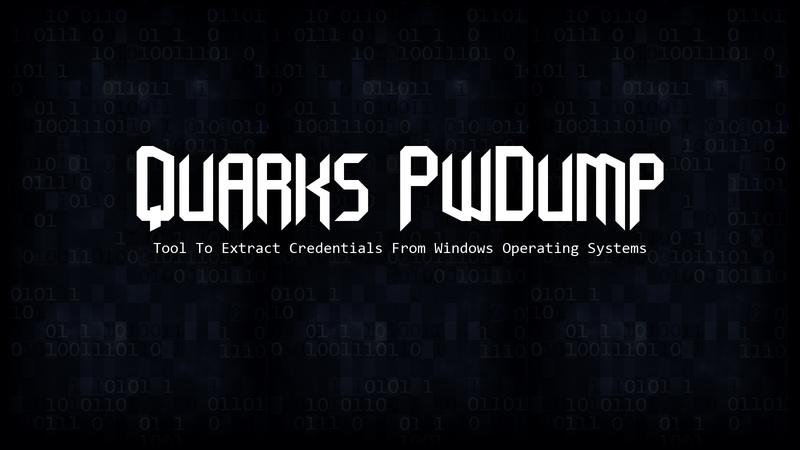 Quarks PwDump is an open source tool that you can use to dump various types of Windows credentials: local account, domain accounts, cached domain credentials and bitlocker. Note: It requires administrator privileges to extract credentials. Quarks PwDump works on Windows XP / 2003 / Vista / 7 / 2008 / 8.